Sometimes mold can hide in covered areas that you may not notice, like behind appliances, wallpaper, or under flooring. If you have concerns that mold is lurking in the hidden corners of your home, call UDK. We have more than 40 years of mold remediation experience. We’ll even come to your home and do an evaluation for free. 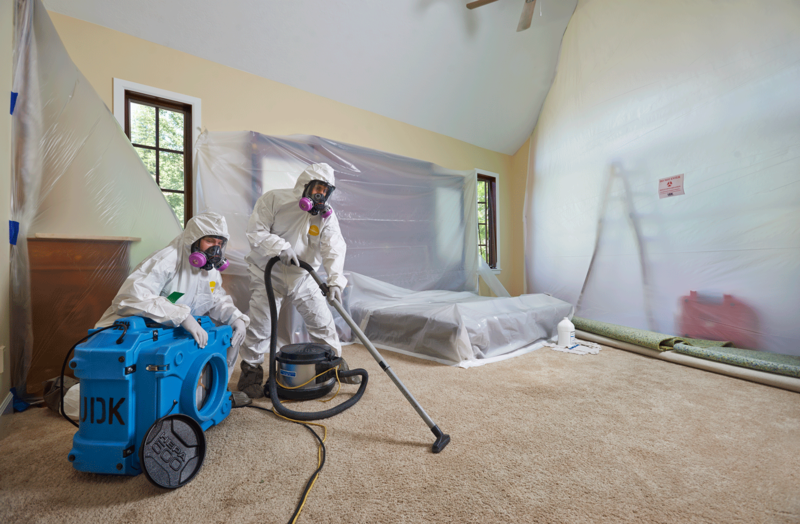 Keep your home mold-free by taking the proper precautions ahead of time. Safeguard your family and pets against the possible health problems associated with mold by acting quickly and following the suggestions below. When water leaks or spills occur in your home, make sure to clean and dry it quickly. If you dry wet or damp areas within the first 24-48 hours, in most cases mold will not grow. Keep air conditioning clean and the drain lines unobstructed and flowing properly. Keep indoor humidity low, preferably between 30-50% relative humidity. You can measure moisture levels with a simple humidity meter available at most hardware stores. If you see condensation or moisture collecting on windows walls, or pipes, act quickly to dry the wet surface and reduce the moisture/water source. Condensation can be a sign of high humidity. Vent appliances that produce moisture, such as clothes dryers, stoves, and kerosene heaters to the outside where possible to lower humidity levels in your home. Run the bathroom fan or open the window when showering. Use exhaust fans or open windows whenever cooking, or running the dishwasher to stop moisture build-up. Visit www.epa.gov/mold to learn more about how you can prevent mold from damaging your property. Contact us with any questions you have regarding mold prevention, or to schedule a mold evaluation. Contact us at (801) 553-1010 or send us your contact information and we will give you a call back.